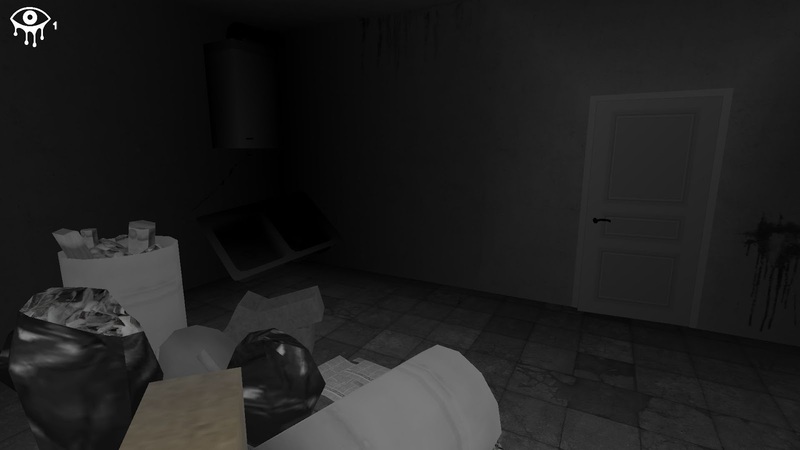 Eyes is a free horror game that is inspired by the Slender trend but has the merit of trying to do something different with the concept. To begin with, and going against the wave of Slender clones that place you somewhere without the tiniest bit of explanation, in Eyes you get some messages that reveal who you are and what you’re doing in this house. You’re a thief and you’re breaking and entering the house looking for 20 bags of money. However, this house doesn’t have an alarm system, but something way better than that – a female ghost that will immediately hunt you down unless you try to outrun it. There is a way to see for a few seconds where she is by collecting and using the eye symbols scattered across the house. You can also sense her presence from the moving objects and clattering plates. Besides the ghost, there are some other neat tricks that may frighten you, but this is a game that manages to stay away from jumpscare territory. The randomization of the money bags, key and eyes provide an added challenge for players who would resort to memorizing the position of the objects. Fast-paced, nicely designed and challenging, Eyes is far from the being the best freeware horror game available but manages to be recommended for horror games who are looking for more than just collecting ´X´pages or something.